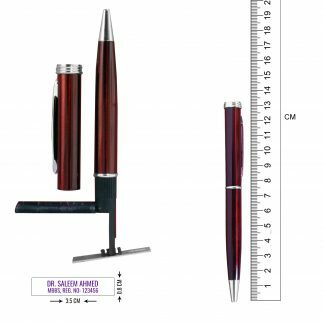 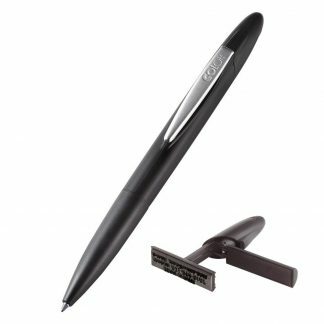 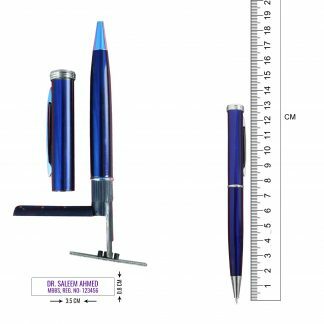 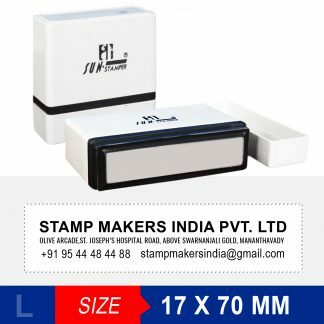 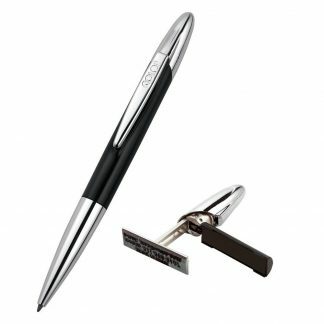 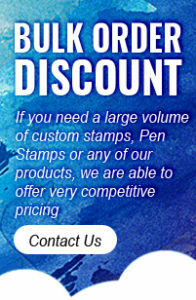 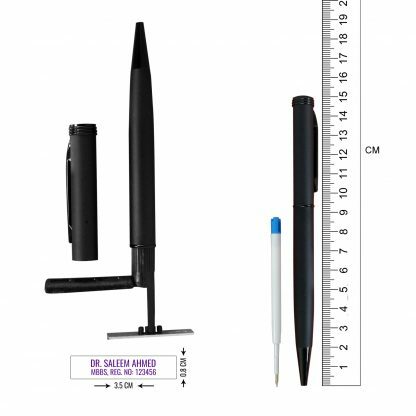 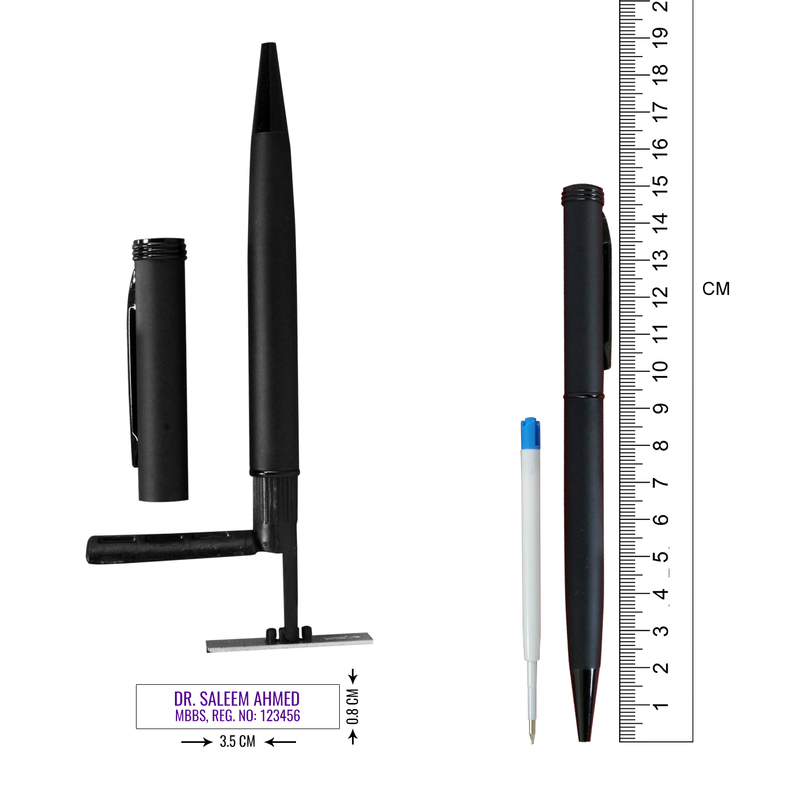 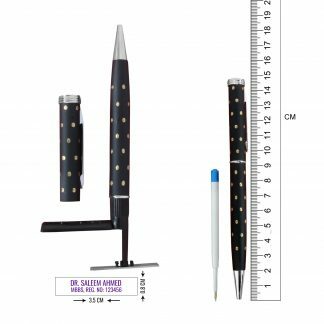 Silver Color Executive Pen Stamp, Pen with Self Inking Rubber Stamp. 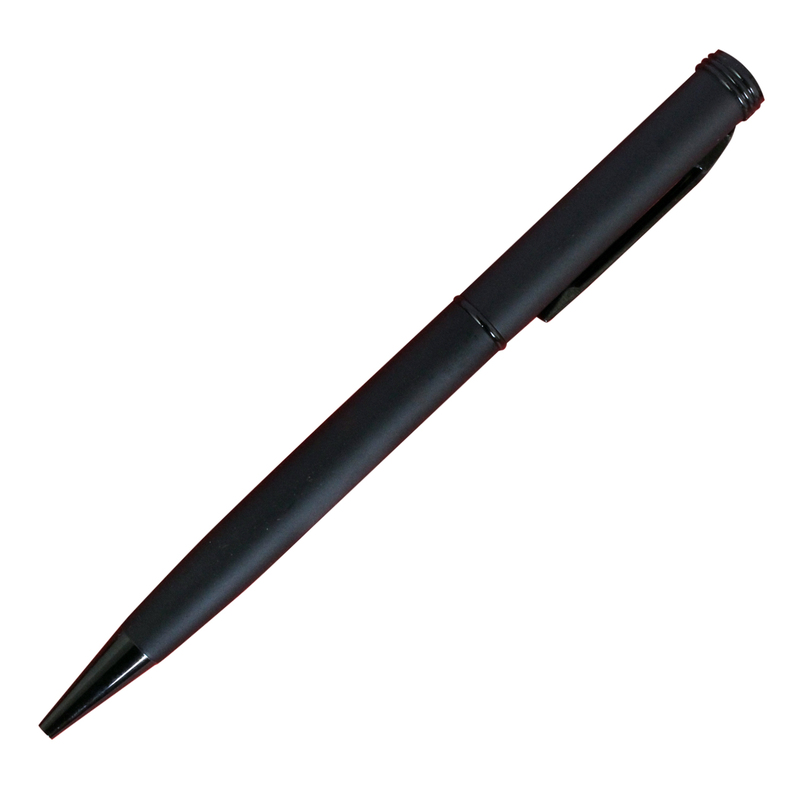 Maximum 2 Lines of content. 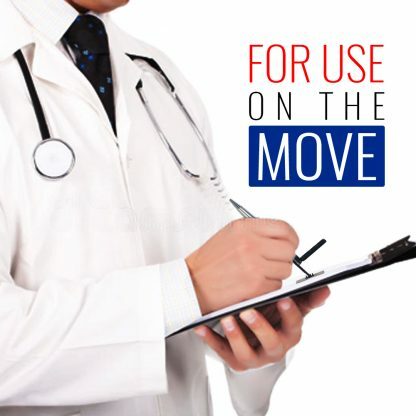 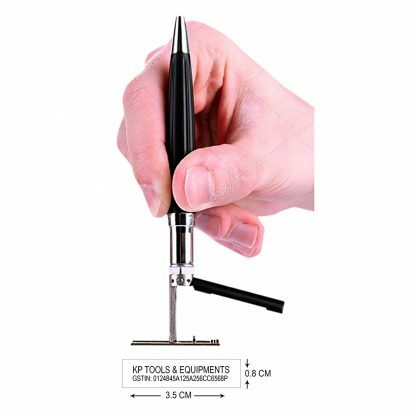 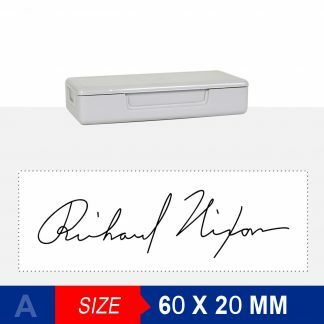 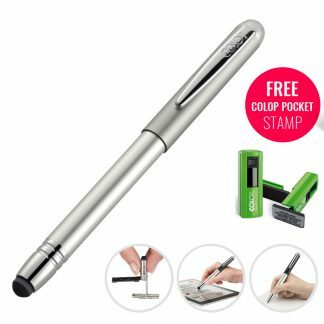 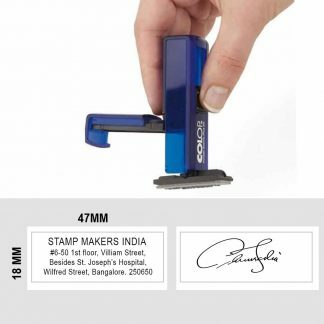 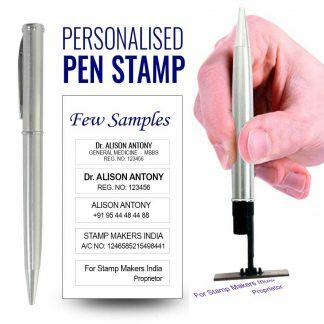 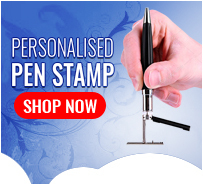 Please see the video below if you wish to see the functionality of a Pen stamp.